I am a believer in investing in decent sports clothing that you love. The reason i believe this is (from experience) that if you love something you are more likely to wear it and therefore that will motivate you to get fit and do more exercise! 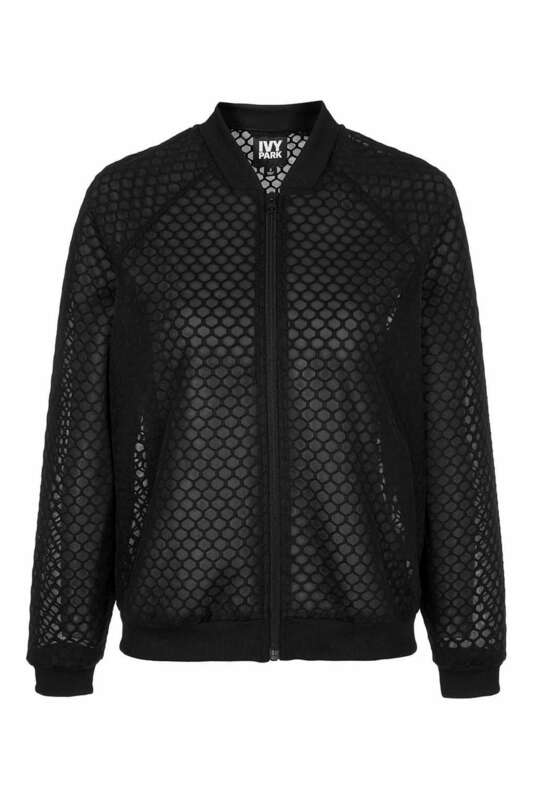 Topshop have recently launched Ivy Park - which is a new activewear and leisure label co-founded, created and fronted by (mother of one) Beyoncé. Beyoncé wants Ivy Park to empower all women through fitness - encouraging us to try and incorporate it into our everyday lives, and to be strong, happy and healthy, which is obviously a good thing. The collection - leggings in three styles, sports bras, tank tops, sweatshirts and jackets are a mixture of high performance technical sportswear and fashion-led casual wear. The aesthetic is a kind of cool streetwear, the styles are designed to fit big but flatter, the fabrics are innovative and the designs are interesting. All the styles have been designed to be fully opaque (so no underwear exposure) and to hold the body for extra support plus the quality is great due to the use of technical and high performance fabrics. So whatever type of exercise you do/ or don't there is something from Ivy Park that will make you feel a bit more like Beyoncé - which can't be bad! This post is in collaboration with, and kindly sponsored by TopShop via Affiliate Window. All thoughts and views are my own.